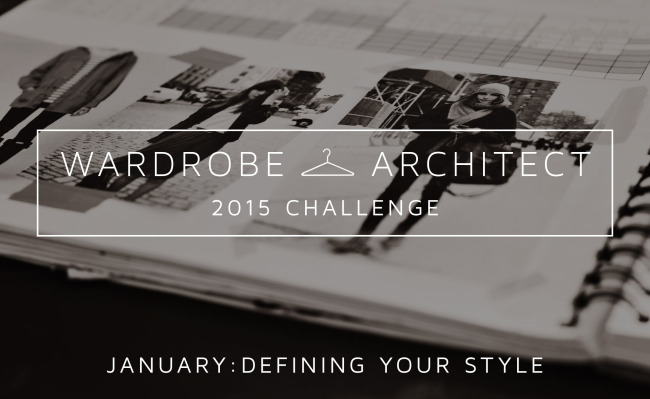 I am so excited by the overwhelmingly positive response the first Wardrobe Architect challenge post received! It’s amazing to know so many people around the world are joining me to create a capsule wardrobe for so many different reasons. Some of you are looking to sew through your fabric stash, many of you want to refine your wardrobe after a change in career, tastes, lifestyle, age, or weight, and a few of you want to quit fast fashion or become more mindful consumers of clothing or sewing supplies. 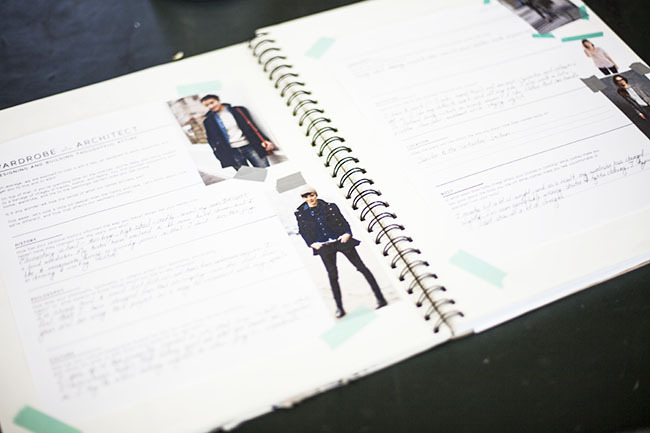 This month’s assignment focused on defining your core style. We completed weeks 1 – 4 of the Wardrobe Architect and then took things one step further by searching for sewing patterns and creating designs that fit your style and silhouettes. I started a Pinterest board to collect my inspiration images. I also started a notebook to keep my worksheets, pictures, and sketches in. Surprisingly, I found questions on the style worksheets to be challenging, and I usually love filling out surveys and answering questions about myself! I ultimately felt like my answers were sort of boring and that I didn’t have much personal history or culture to draw from. I did find them helpful in that I began to make some connections about my style I hadn’t really considered before. I noticed I feel equally drawn to feminine and masculine styles, which is probably due to being a tomboy as a child, but then feeling embarrassed and overcompensating for it as a teenager by wearing some really pretty, cutesy clothing. Now I’m looking forward to working with both of these styles, instead of trying to pick one or the other. Despite the fact that some of these words seem like they wouldn’t necessarily mesh, I feel like I can work them into something that is unique but cohesive. Taking a stab at the silhouettes section felt easier for me. I know that I’m an hour glass shape, and have strong opinions about the styles I like to wear, though that is evolving a bit lately due to some changes in my weight and lifestyle. I’m becoming more willing to try new shapes, but I know what to look for in terms of fit and I know pretty quickly if something will work for me. Historically, I’ve always liked wearing really tight pants, full skirts, waist defining dresses, and shirts with just a bit of extra ease. More recently I also find myself wearing a lot of more form fitting dresses and skirts. As of right now I’m not interested in wearing really long skirts, wide legged pants, or super form fitting or baggy tops. I moved on to searching for patterns I that I could see fitting into my capsule wardrobe. After reviewing my choices, I noticed that I picked a lot of button-up style shirts and dresses such as the Grainline Studio Archer button up, and Hawthorn. I especially like the button-up style tunic dresses because it seems like they can be styled in several different ways to reflect my mood. I also mixed in some easy shift dresses and knit pieces such as Moneta and the Lola dress from Victory Patterns. I didn’t make note of many pants or shorts, but I did include Clover in hopes that I’ll get around to making a pair in some sort of a moisture-repellent technical fabric that looks like a typical bottom-weight fabric. My list of outerwear is probably overly-ambitious, but I have my eye on a new peacoat, a lightweight Albion, a rain jacket from the Sewaholic Minoru, and a Victoria blazer from By Hand London. Next week, we’ll kick off February with cleaning out our closets and taking inventory! In the meantime, I’d like to hear from you: What one thing did you take away from the wardrobe planning process this month (even if you haven’t finished)? And please keep sharing your blog posts and Pinterest boards in the comments and keep posting on Instagram and twitter using #WAChallenge2015! I love reading about your progress and ideas! What I took away, really, is that I definitely KNOW in the back of my mind the styles I like and don’t like. It’s just that I sometimes try to force things to work: the wrong fabric for a pattern, or the wrong silhouette for me, etc. Then when it’s done, I ask myself why on earth I thought it would work, when I know better. Writing down my style keywords and my favorite silhouettes will really help to keep me on track down the road, I think. I learned that I really struggle with putting a whole outfit together. I filled out weeks 1-3 easily enough, but I’m still struggling with the silhouettes section. 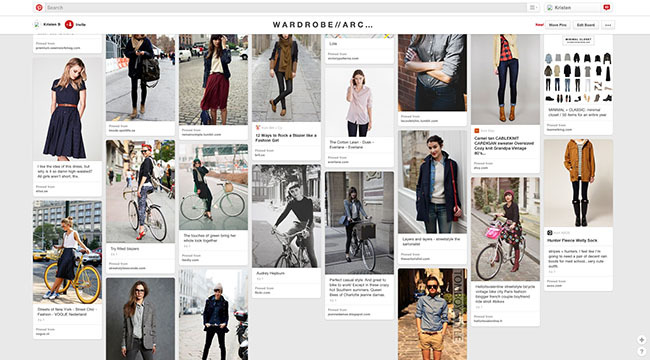 I started off trying to find actual clothes I like to put together entire polyvore coordinates. I barely found anything because I would get hung up on color, what goes together with what, questionable material, accessories, etc. It was too much. So I scrapped the idea of putting together complete silhouette formulas and focused on finding sewing patterns that complemented my week 3 worksheets. To not get distracted by color/material, I am focusing on just the line drawings. The shape worksheets are really helping on this front. Hopefully the rest of the wardrobe architect series can help me organize my color and accessories dilemma. Here are my posts for the January challenge. I am still working on the week 4 exercises. I went all out on this challenge. I realized I need more neutrals in my wardrobe. Actually I realized I need more clothes… I made a really anally retentive chart to guide my clothes and fabric shopping in the coming months. You can find it here : http://meynensoutenboom.blogspot.be/2015/01/makemaybebuy.html . If you look over the posts in my blog of the last month, you can find the whole process leading up to this point. I tried following the ‘original’ wardrobe architect assignments, and had a lot of fun! That chart is fantastic and so helpful! I made 3 things last year, all quite labour intensive, which I have not, and will never wear. Why? I think I was swayed by the picture and how the dress looked on that model, not what it would look like on me. The January WA exercise has made me prioritise what I want to make this year that I will wear on my holiday abroad. I believe I know what hemline to pick, what neckline to choose, and how fitted to make my pieces. That’s a start. I am looking forward to the colour analysis part of WA. Incidentally, I did make 15 things last year that I love to wear so don’t feel too bad for me. I definitely have this problem! I also learned that I need to consider if it it’s the kind of thing I would usually wear. Unfortunately, even though I love the look, cute cotton sun dresses just don’t get a lot of play in my closet (which is why you’ll notice a lack of them in my patterns). I love having a few, but I just can’t justify making every adorable pattern that comes out. I like having an organized approach to what I’m going to make. On my own, I’m like a hummingbird, zipping from project to project, and only spending a small amount of time and attention on each before zooming over to the next one. It’s not very effective! Having a plan helps me stick to those two or three projects I really want to focus on. As a wardrobe architect I have practical, self-imposed limits to what projects I can realistically finish for my seasonal wardrobe while it’s still the right season to wear them. I really like this approach. I’ve already noticed a difference since I started implementing the wardrobe architect tool for the 2015 winter season. I made a dahlia dress in a plaid cotton flannel, and I just completed a cotton flannel skirt from a vintage simplicity pattern. Those holes in my winter wardrobe are starting to fill up! I like the notebook, maybe I should make one for myself..? I know what I like and don’t like regarding clothes but these assignments have still been very helpful for making it even more clear for me. Especially for starting to think about silhouettes and garments in combination and thinking about uniforms. I still haven’t looked for sewing patterns that works with my silhouettese but I will definitely look through your pinterest board for inspiration. If you’re looking for notebooks to help you plan (and you’re terrible at drawing what’s in your mind like I am) I highly recommend a Fashionary notebook. 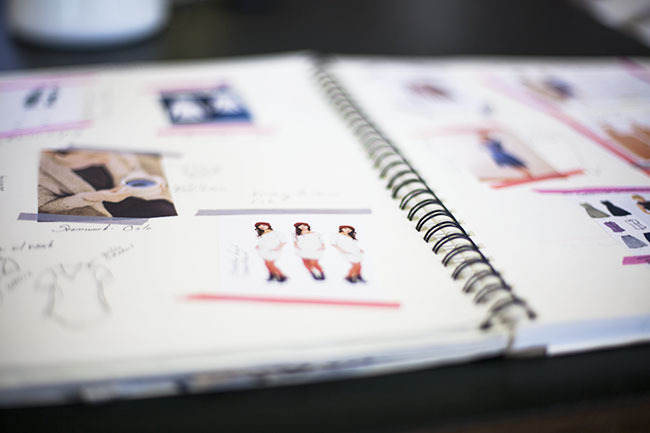 It has lots of information about silhouettes and clothing styles in the first few pages, then the body of the book has figure templates that you can draw your clothing designs around. It’s really helped me get my ideas down on paper about the details of the garments I want to make. I need to get back on this. One thing, it is much harder to do this for plus sizes – especially on the silhouettes. So much depends on the fabric and drape. Dear Mary, I am taking Barbara Deckert’s class ” Pattern Fitting and Design for Plus Sizes” on Craftsy. She is helping me understand so much about dressing my size and looking great in the mean time. Thanks for leading this Kristen. It’s cool to hear your experience with this month’s exercises, how you approached them and what you learned. It’s equally interesting to hear that some of it was the same for me and some of it is very different. A few things I learned are that I know what I like to wear more than I thought I did, that I kind of have a uniform and that I am happy about that. It’s going to make sewing for myself in a more intentional way easier than I thought! I love making notebooks, organizing and planning and it totally helps me get things done, so I am super excited about what I accomplished this month. I feel like we have very similar Pacific Northwest Uniforms! I found it incredibly helpful going through the WA again and using it to look back at my 2014 makes. The biggest lesson I learnt is that the fabric choice is key for me, I really look better in fabrics with lots of drape. Stiff shirtings, etc, just make me feel bigger. This time I also started a notebook and glued in photos of styles and fabrics I like, much easier to take with me when shopping! These past few weeks have certainly been a painful lesson, and the exercises forced me to admit, to myself, that certain silhouettes just do not look great on me. I’ve tried and failed at making the Zinnia skirt that I so proudly sewed up last summer work in my wardrobe, but (sigh), a high-waist, gathered skirt only accentuates the squishy bits of me. The gathers flare out in an ungodly manner, and the straight waist band sits above…I’ll just leave it at that. I love the pattern, and I adore the look. I have a high waist, yet I’m still too tall for store bought dresses. So I suppose one of the most important takeaways I got from the exercises is that fit makes or breaks your confidence. I made a lot of dresses last year that fit me properly, but sadly will never wear. So this year is about using those skills and sewing only what I love and what I will wear. And oh yeah, this challenge is about ditching the stiff, easy-to-sew cottons. Going through the worksheets helped me a lot, especially the one where you mark how you feel about necklines, sleeve lengths, hemlines etc. I now have a list of what items I love to wear, what fits into my lifestyle, what colours and prints I love, and how many of each item I would need. I really think by the end of this year I will have a wonderful wardrobe! I learned the importance of shape and to look at ‘shape’ in many different ways. This exercise really made me think about what I wear and what suits me, I’m starting to face up to the fact that, no matter how much I like the idea, some stuff just doesn’t suit me and I don’t feel comfortable in it. Some stuff has already been chucked out of my wardrobe, and I’m starting to plan sewing some stuff that really fits and suits and fits my lifestyle and where I live. I always felt like creating a cohesive wardrobe was so daunting that I never made much progress, but working through the January exercises made me look at it in a way that feels totally doable. I learned to look critically at what I am actually going to wear and let go of styles that I just don’t feel comfortable in even if I like them. Hm, maybe this will help me break out of my “black jeans black tee black sweater, all covered in thread” rut. I’ve been making so many fancy things, that I need basics to wear day-to-day. I guess I’d call my style 1) northeast urban 2) streamlined 3)wearable 4) bring on the vintage funk and 5) (hopefully) sophisticated. At least over the years I’ve learned how to assemble pieces that can work either for parent/teacher conferences or for New Years Eve on an Alp. how do you sew a bicycle? First I have to thank you for the material you’ve shared , has been of great help to find my style. I’ve never paused to reflect on what styles make me really feel at ease, so it was really difficult on the one hand (my way of dressing has changed really much over the years), but fun and useful on the other hand. So far I’ve always bought (and now sewed) dresses that I like by instinct, without thinking about what really fits me and so I have only a few clothes that I adore and make me feel at ease. The exercises of these first four week (I haven’t finished them yet) have been really really useful for me in order to think about what kind of silhouettes are better for me. And I found Polyvore out…love it! It’s a very useful and inspiring tool! Though I don’t have a blog, I’ve been following along and completing the worksheets. This has really been great and has motivated me to think more critically about the items that will be most useful and versatile in my wardrobe. I don’t know if I’ll be able to cull my wardrobe to capsule wardrobe status, but I’m so glad to be refining and focusing my sewing plans. Hey so I’m been thinking about this a lot and I’m beigning to have form a clear plan in my mind but I finally put pen to paper today and I’m excited!! Thank you very much for leading this 2nd challenge. I had a great time completing January’s checklist. The most important thing I’ve learnt is that defining my core style was not so difficult as I expected it to be. The worksheets were really a big help. I’m really happy with my pattern library step that make me feel like I did a big “spring cleaning” in my to-do list. 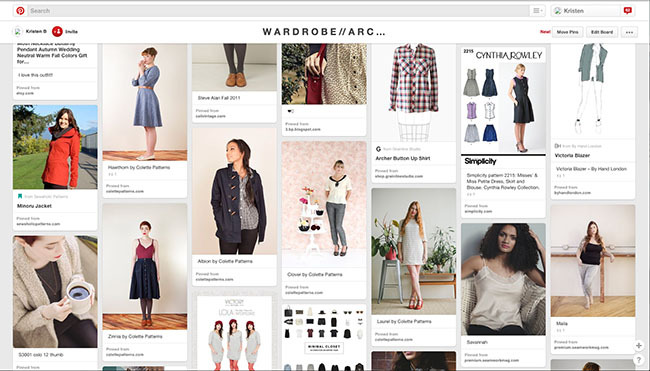 I have just written my post about my experience with Wardrobe Architect 2015. Essentially while it initially helped me get organized, what it opened for me was some emotional doors (in a good way) as to my clothing choices in the past and how they are helping guide my current choices. I’m so glad you are doing this for 2015 as I only returned to sewing last summer. I loved doing the exercises, though it took me ages to actually write up my post. It actually made me realise I do know my style, and my problem is just making sure I don’t get distracted by too many projects at the same time and focus to fill the gaps in my wardrobe. I really need to stop making dresses and focus on trousers, jackets and coats. Looking forward to February’s task, Kristen! The biggest thing I learned is how much my style has changed since I did this project last year. I think I’ve finally embraced the fact that I am over 30, and enjoy all that comes with it, instead of just accepting it and making the best of it. The words I’m using to describe my style have changed from things like boho and frilly, to sophisticated and pretty. Luckily most of my pieces from last year will still work well with a few new twists to style them differently. Thank you Kristen for leading the Wardrobe Architect again! I found the worksheets quite challenging to start with but once I got into it I was really enjoyed reflecting, as I don’t do this much. Like many others, it has been emotional as I have come to terms more over the last couple of weeks about my body shape and what looks good and what doesn’t, despite my desperate attempts! There are so many great patterns out there that match my silhouettes and can’t wait to get sewing. One of the main things that I’ve realised through doing this challenge is that I need to be better at choosing fabrics that suit my core style, so I’m looking forward to trying to master this over the next year. Thanks again! I think selecting fabric is something that trips a lot of people up. Even when you find the perfect pattern that suits your core style and silhouette, if you make it in a fabric that isn’t *quite* right you’ll probably end up never wearing it! That’s why when I go fabric shopping I ask myself “would I see a garment made out of this fabric in a retail store?” As it turns out, the answer is often no. THIS CHALLENGE HAS BEEN SO AWESOME! I have had so much fun going through all of the worksheets and discovering my style. I have always been not to sure of what to label my style as, since all of the generic styles seem to not fit me 100%. It’s nice to come up with my own unique thing and find out how to make a cohesive style that I can mix and match and LOVE all day every day. I cannot wait to start February!! I think my favorite things that I have done in January are defining my core style and building silhouettes. So much fun!! Parts of this were harder than others, but I really do understand my style and what looks good on me. Minimalist, casual, elegant, comfortable and edgy are what I strive for in my wardrobe. The edgy part is not as easy to accomplish when you are older, plus sized and curvy! I stay away from styles with too much fabric. I like things that skim the body and aren’t tight. I have a raincoat cut out and ready to sew that is a knockoff of a Celine coat for spring. It’s black and bright navy. I don’t remember when I have ever worn navy, and this is only accented with it. I want to make a casual rain jacket but haven’t come up with a pattern yet. I have a notebook with sketches and photos that I will post on my blog. I’ve also been posting on pinterest and need to figure out how to post it. My biggest problem is getting my lists down to an actually sewable amount! This is the perfect opportunity to finally start on a mix and match warderobe. I finally found out wich colours suit me and how I can combine them! Thank you! Excited to be participating, again :) Just posted about January. Please leave your January posts in my comments. I’d love to see them. As a jean and t-shirt kinda girl, which is rather boring and needs attention. Tailored is my style, fit is the challenge, color for energy, all while keeping things simple. I’ve spent the past 4 years working with professional seamstresses, reading many books on fitting and pattern making, and I now have my jean pattern. For now I’m starting with the basics jeans and a light blue archer shirt. As I don’t know where I will be living starting the spring, (Denver, Phoenix, Seattle) it’s hard to know what type of clothing I will need. I have done all of January’s assignment,but I am committed to using fabrics from my stash, moving to a more coordinated wardrobe. I started thinking about colors and haven’t finished exploring than subject. And I’m trying to decide on shapes that are suitable to my short plus size figure. I plan for it to be more timeless and classic. I’m going to move forward with some closet clean out for Febuary though. It will be easy to take the plung and lose some obvious odd choices. I can’t seem to find the February pages for WA 2015. I am cleaning out my closet as I wait/search. Can you advise? I didn’t knew we were supposed to put the link to our post in here, haha! Here’s the link to mine ^_^ I share more of a personal story getting to know my style, hope you guys like it! 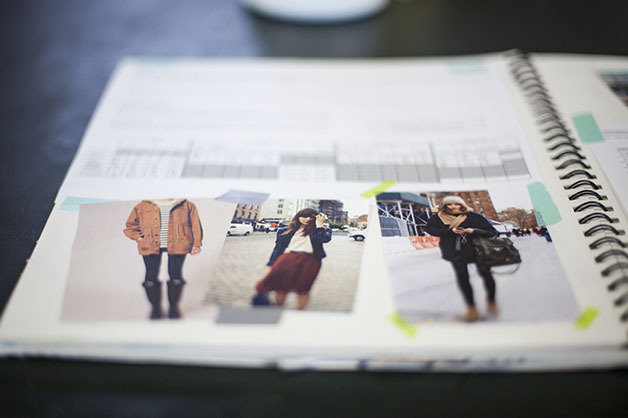 Currently editing my closet for the february challenge… having a blast! Thanks Kristen for sharing your very inspiring process! I’m nowhere near finished but still shared my planning and style research last week. (http://www.stitch-n-smile.com/sewing-a-wardrobe/). There’s also a link to my Pinterest board in the post. I’m hoping to go through my wardrobe this week to have a better idea of what I already have and what I need. Exciting times ahead! In the mean time, I’ve started a simple blouse (because you can’t go wrong with a blouse!) just so I can get a little sewing done. Looking forward to the next step of the challenge!